The phrase “I AM” is very powerful. It is so strong that it has the potential to attract into your life whatever you add after those two words. These two little words have the power to alter your life beyond your imagination. These words are yours and yours alone. No one can say them for you, only you can say “I AM” for yourself. I AM…. you can add to the list. What happened? Instantly, something inside you seemed to agree with that negative assertion. Then your mind began to attract the feelings, circumstances and conditions that eventually created what you said you were or what you said you were feeling. The reality is that life responds to your I AM. Whatever you put after these words defines your reality and determines the results you get in business, your enterprise, career, relationship and all other areas of your life. When Moses encoutered God in Exodus 3, he asked “who should I say sent me?” The response he got was “Tell them I AM sent you” God was and is bigger than any finite mind can comprehend hence there was no adjective to describe Him. When the Israelites army met Goliath, they collectively said WE ARE not able to fight this giant. In essence, they were individually saying I AM not able to face this giant and that became their reality. However, when David showed up on the scene, he had a different confession. “I AM able to fight this giant.” He told Goliath “I AM going to kill you, I AM going to cut off your head, I AM going to give your flesh to the birds of the air….” Needless to say, this became his reality. What Goliaths are you facing today in your career, studies, marriage, relationship, finances, health? Change your confession. 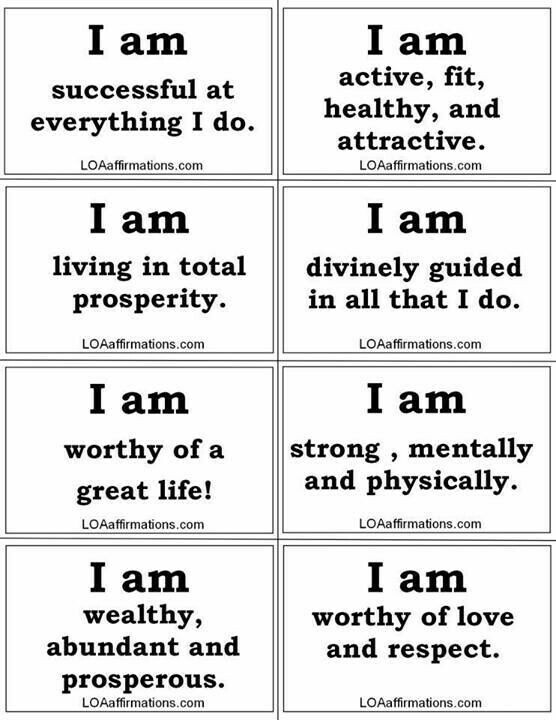 Begin to repeat the below I AM affirmations everyday and anytime you face a difficult situation. You can draw up your own list of I AMs to match your current situation and watch the magnificent impact it will have in your life. Also Abram’s change of name in the Bible to Abraham, which means “father of many nations” was significant. Though he was childless at 90 years, the moment he began to introduce himself as “I AM the Father of Nations (Abraham)”, his change of story started. He began to identify himself as a father and eventually it became his reality. So no matter what you’re going through, if this worked for others, it will work for you. If you wish yo learn more about how you can use these two simple words to change your life and situation positively, below are some links you can look at. Read the stories of others and be inspired. Have a beautiful week. A nice piece. I am what I am. “I AM” happy that you visited my blog and “I AM” glad to meet you. Thanks a lot Lynda. I love your creativity!